From Goodreads: Chloe hasn’t had the best life. With a mother who is gone more often than not, she has had to raise herself. 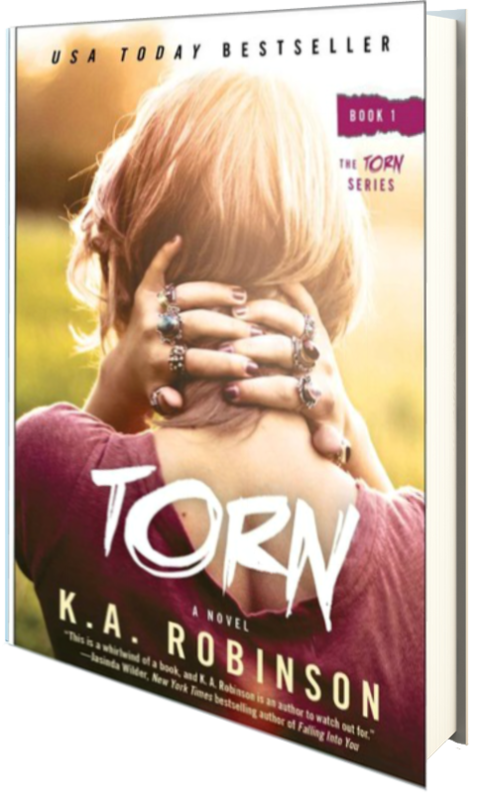 After graduating high school, she leaves to start a new life away at West Virginia University with her best friends Amber and Logan, determined to leave her demons in the past. On her first day, she meets a stranger who takes her breath away at first sight. Until she met Drake, no one had ever sparked her interest. Now this tattooed and pierced bad boy is all she can think about, no matter how hard she fights it. Falling for Drake was never part of her plans, but when it happens, things seem to do anything but fall into place. Dealing with a tragic past, Drake has never cared about anyone else but himself and his band. But when Chloe takes the empty seat next to him in class, things start to change. Instantly drawn to her, he begins to wonder if one girl can take a cold hearted womanizer and change every part of him? Long hidden feelings are revealed and friendships tested to the brink. I am so sorry to say that I didn’t care for this novel. I had high hopes going in, but my own life experiences, values, and beliefs just didn’t mesh with some of the events in this story, and because of that, I personally didn’t fall in love with it, which is okay, but always makes me feel bad. When a person is obviously, obviously drunk, I truly believe you need to take the high road, ignore their pleas, and NOT sleep with them. I feel like that is taking advantage of a person who isn’t in their right mind, and it rubs me the wrong way–I lost some respect for Logan and Chloe due to their antics, but especially for what they do when one or the other is under the influence of alcohol. Drake was enticing to me as a reader at first. I like the bad boy image, but any man who pushes a woman away, tells her to date someone else, and then openly pines for her loses my respect quite quickly. Let alone that he then sleeps with Chloe on multiple occasions while she’s dating Logan, well–again, I need my characters to take the higher road. I can understand a one time mistake–passion getting the better of a person, it happens… but after all the guilt, to go ahead and do it again a few months later, well, there is no excuse for that. Not for any of the characters. Chloe ticked me off more than anything in this novel, and it started when she was nearly raped and refused to report it. I’m sorry, but this is close to my heart and you have to get over yourself and go to the police. Ladies, if anyone ever attacks you, you can’t just think about your own embarrassment–you have to think about the potential other victims this man will set his sights on AFTER you. Do the right thing and report it. Sure, it’s going to be an awful experience, but so was almost being raped. Think about the other woman you can save by being the bigger person. In this instance, Chloe’s decision, and Drake’s for just going along with her decision, turned me off immediately. From there, I just felt Chloe strung the men in her life along, trying to keep both, eaten up by guilt, refusing to come clean about it all… and as reader, I had no sympathy for her. And I couldn’t believe that there wasn’t really much fall out when everything finally came out into the open. Chloe is definitely at fault, but in the end the other characters are even more sorry than she, and that just didn’t work for me. The novel also doesn’t have closure. I’m used to cliffhangers, but I wouldn’t say this is a cliffhanger, at least, it’s not for me. Instead, it just felt like the novel ended with the appearance of another character we’ve heard little about, and so there truly isn’t an ending, which left me a bit unsatisfied. I’m sorry to say that this novel just wasn’t for me–it had potential, but the characters and events just weren’t for me. Two stars. In exchange for an honest review, Atria Books has been extremely gracious in allowing me to read this novel via Netgalley.